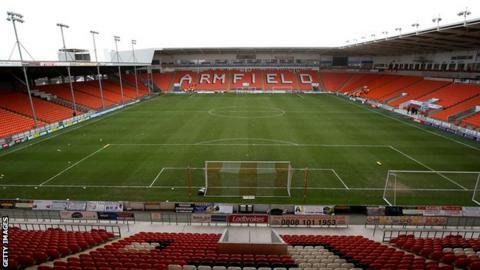 The Oyston family have not replied to the £16m offer from Blackpool Supporters' Trust (BST) to buy the League One club. BST set a deadline of 21 July to respond to their offer, which they said would "rescue" the Seasiders. Owner Owen Oyston has been in charge of the club since 1987 and son Karl is the chairman at Bloomfield Road. "The deadline has passed without the basic courtesy of a reply to our offer," said a trust spokesperson. "This lack of response is disappointing but not in the least surprising." Blackpool, who were in the Premier League in 2010-11, finished bottom of the Championship last season and have appointed former West Ham assistant Neil McDonald as their manager for the upcoming season in League One. The Oystons' ownership has not been popular with fans during recent seasons, with numerous protests taking place. Demonstrations have continued this summer, with a friendly against Lancaster City abandoned after a pitch invasion and a game at Morecambe called off because of safety concerns over a planned protest. "The deadline may have passed, but our offer remains on the table while we assess our next move," added the trust. "That next move will be subject to the wishes and approval of our members. "We remain committed to discussion with the Oystons about a change in ownership or a change in the power structure at the club, to bring about a situation in which the fans have a real say in how our club is governed and how our money is spent."